Upgrade your old Expandable width AllDolly Sliding Beam with the new version using the new replaceable bushing system. 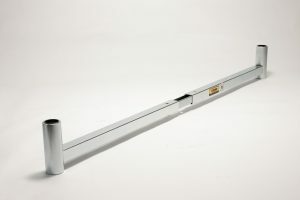 The Sliding Beam comes fully assembled and if your old parts are in good condition you can return them with the prepaid shipping label for up to 20 dollar credit. 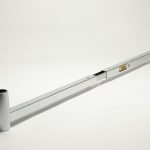 This upgrade will make the raising and lowering of the Sliding Beam more easy and consistant. Also, the bushings are replaceble should they get lost or damaged. See Replacement Bushings.